With the help of search engines like Google and YouTube, you can learn how to do (almost) anything in a matter of minutes. But just because you can do something, doesn’t mean you should. That’s why I cringe when I hear home improvement contractors tell me they run their Google, Bing, or Facebook ads themselves. They find it totally normal. That’s until I ask them—hypothetically of course—if they would let me re-roof their house, install new windows, or remodel their bathroom. The answer is always a resounding NO, because I don’t know what I’m doing. Well, I’m here to tell you that you don’t know what you’re doing when it comes to running Google, Bing, or Facebook ads for contractors (don’t take it personally—you have your expertise, we have ours). And to prove it, I’m going to share 5 reasons why you shouldn’t be doing this contractor PPC stuff yourself. By the end, you’ll know whether or not you should continue “doing-it-yourself,” or find someone else to manage your PPC budget so that you can get better results AND have more time to put towards growing your home improvement business. To start, we use scripts like crazy. In other words, scripts allow things to happen while you’re not actively inside your Google Ads account. Scripts allow us to reduce wasted ad spend and take advantage of opportunities as they happen, instead of just when we’re actively working. The Google Ads Weather Script. This script lets us increase or decrease bids automatically based on the weather in certain regions. We can trigger rules based on temperature, rainfall, and wind speed increases or decreases. For example, when there’s heavy rainfall in a certain area served by a restoration customer of ours, we’ll automatically bid higher for water damage-related keywords. 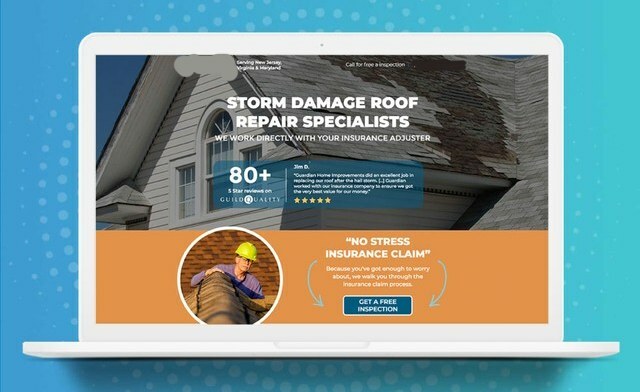 When there’s strong winds & hail in a certain area served by a roofing & storm repair customer of ours, we’ll automatically bid higher on storm damage and roof repair-related keywords. When it’s hot? You guessed it…the script bumps up bids for our HVAC customers. This gives our customers a huge advantage over their competition because changes are made automatically in real time—not when someone logs into the account to make the changes, which could take hours or days. 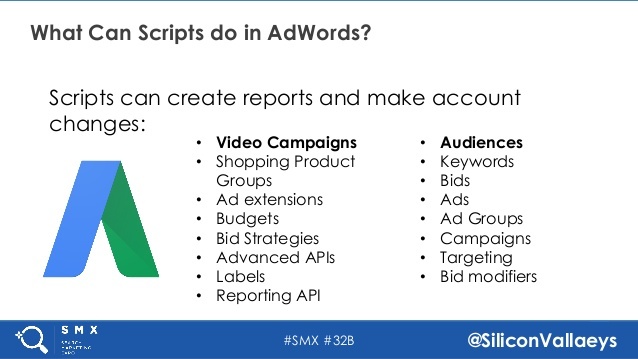 The takeaway: Scripts are extremely powerful tools that allow you to maximize your ad budget, among other things. Without scripts, you’ll be slow to make changes and miss out on opportunities that can have a significant impact on your results. If you’re running contractor PPC ads yourself, you probably don’t pay much attention to bidding. In fact, you’re likely using automated bidding. That’s okay for beginners or advertisers with small budgets, but you’re much better off using Manual CPC Bidding along with bid adjustments if you’re spending a decent amount of money each month (case in point: Wordstream recommends NEVER using automatic bidding). For example, if you determine that New York is a hot market for your business but leads that come in during the weekend rarely close, you could increase bids on searches originating in New York by 5%, and reduce bids on searches done during the weekend by 10%. This helps you focus your budget and get more of the clicks you really want. On our end, we make bid adjustments on a daily basis, both manually and through the use of automated scripts, to make sure our customers’ advertising budgets are well utilized. The takeaway: Proper bidding and frequent bid adjustments are crucial when trying to maximize lead volume and respect a certain lead cost. Automatic bidding can be used if you have limited budget and time, but don’t expect the kind of results you can get from manual bidding. Our job as contractor marketing experts is to help our customers make more money by sending them exclusive home improvement leads on a silver platter. If we do that consistently, we know they’ll stick around. One of the ways we make sure this happens is through rigorous ad testing. and essentially the overall performance of their ad account. At any given time, we can have anywhere from 5 to 20 non-overlapping tests running per account, based on the amount of media budget we have to spend and the overall history of the account. Mix in different service offerings, special offers, and other advertising channels like Facebook ads or the Google Display Network, and the number of variables you have to test literally quadruples. We can only test a few things at a time to make sure the results are conclusive (and that tests don’t interfere with one another), so it’s an ongoing effort that takes both time and resources to do properly. The takeaway: There’s no “set-and-forget” when it comes to pay per click for contractors. There’s no shortcut. It takes time and diligent work to get the kind of results that bring in steady leads and revenue. Not testing every aspect of your campaigns is a BIG mistake. Ongoing testing of ads is a big part of the equation, but WHERE you send visitors after they click is equally important. From our experience, sending visitors to dedicated landing pages converts at a much higher rate than sending visitors to a full-blown website. It’s not just a hunch. We’ve tested it. Time and time again, our landing pages win when pitted against our customers’ websites. Sometimes, we even hit double or triple their usual conversion rate, which means they get double or triple the leads for the same amount of advertising budget. We’re able to do this because we use a tool called Unbounce (we’re an Unbounce Agency Partner) which lets us build beautiful pages fast, and also test different page elements against each other to see what converts at a higher rate. Over time, we can bump up conversion rates by several percentage points which can significantly impact the overall success of a PPC campaign. That’s just not something you can do by sending traffic to the same old static website day in and day out. The takeaway: Landing page design and testing is one of the most important tools in our contractor marketing toolbox. If you’re not testing where you send your PPC traffic, you’re missing out one of the simplest improvements you can make to your overall results. Last but not least, we analyze call & conversion data regularly. Assuming we have our customer’s permission (most of them have no issues with it), we’ll use a tool like Callrail to record and track all incoming calls from our PPC marketing efforts. Then, we schedule time in our calendar to go through all of the phone calls, form submissions, and chat requests received within a certain time period to analyze the quality of the leads we’ve generated for our customers. The insights we learn from this exercise are literally priceless. We learn about the common objections people put forth, which might cause us to address them in our ad copy and on landing pages to increase conversion rates. We learn what makes for a good quality lead, which might cause us to add new keywords, re-structure campaigns, or make bid adjustments to get more of them. We learn what makes for a bad quality lead, which might cause us to revisit our negative keyword list, setup dayparting, or refine our device & location targeting to get less of them. It’s an ongoing process, and both our PPC and Conversion Design teams work together to make sure we’re always moving the needle for our customers. The takeaway: The more you spend on ads, the more data you accumulate. That data needs to be reviewed, analyzed, and acted upon if you want to improve your results. This takes a ton of time and knowledge of PPC and conversion rate optimization, but it more than pays for itself in the long run. So there you have it…5 reasons why you shouldn’t do contractor PPC yourself! As you’ve just seen, a lot of time and care goes into running successful Google, Bing, and Facebook Ads for contractors. You don’t get 300+ roofing leads per month or $18 in profit for every $1 spent by chance. Take a quick second and ask yourself if the person running your ads (whether it’s you or an agency) is taking the time to dig through your data, test new ad variations, leverage dedicated landing pages, and all the other fun stuff you learned about in this blog post. If the answer is no, there’s a good chance your results can be improved. And if the price of having your PPC ads managed by professionals is your concern, consider how much money you might be wasting (or foregoing in the form of additional leads & revenue) by not giving your PPC account the time and attention it needs.